Plastic, aluminium and steel tooling can be manufactured in only 2-5 weeks with rapid injection molding techniques. High-quality injection moulded parts prolong tooling life, reduce manufacturing error and by that, reduce total costs. Short run plastic molding has become possible. In order to test the design of a developed product, it is always a good idea to make a prototype. That way, you can check the sizes and the properties of your idea in real life. However, most rapid prototypes cannot match the end product when we talk about precision, surface finish, etc. Ordering the product at a manufacturing plant will end in waiting for months and will be costly since they prepare for mass production. This is where rapid injection molding can help you. Separate injection molding factories can create an intermediary (bridge) tooling that can be manufactured faster and then use it to make prototypes and test them Manufacturing prototypes by injection molding using this tooling will save a significant amount of time and an evaluation of the end product can be achieved. Aluminum, steel, and plastic rapid injection processes followed by CNC machining, Electrical Discharge Machining, and surface finishing will ensure that you get the perfect prototype in the shortest amount of time. An indisputable advantage of rapid injection moulding is that it can manufacture tens, hundreds or even thousands of prototypes for you once you’ve created the bridge tooling. That way you can speed up your pilot tests, give out a sample batch for people to test or make some small changes to ensure that once the product is approved for mass production, it won’t have any faults. With an experienced team, and a stable aim to overcome all difficulties, it is possible to cut lead time by a large margin. 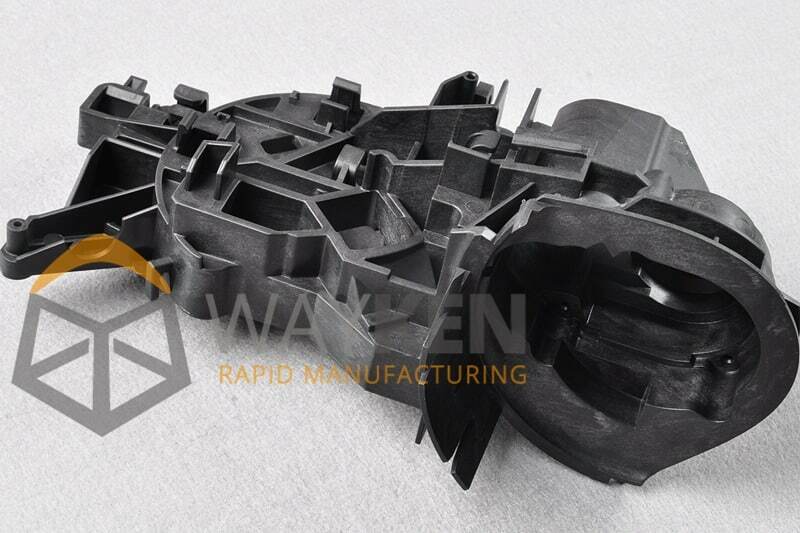 As a result, customized rapid molded parts can be supplied within 2-5 weeks. 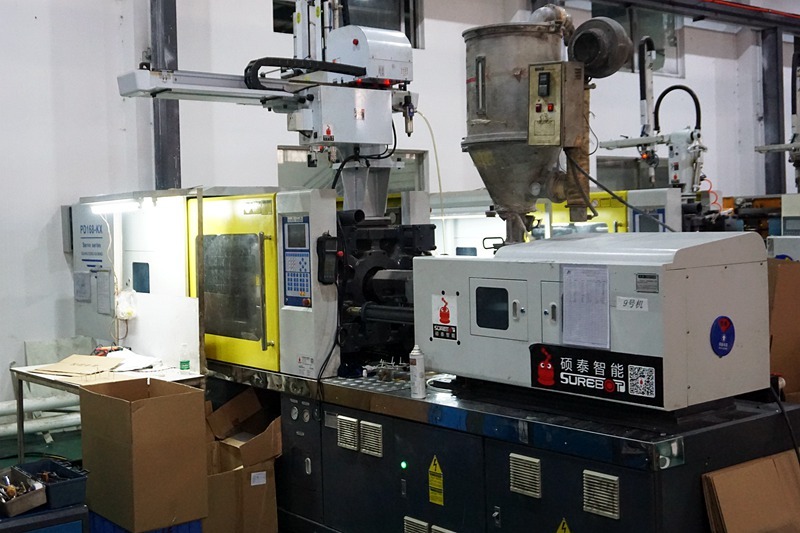 The main feature of rapid injection molding is that it can be used to create a large batch (hundreds of parts for a first batch to be tested in live conditions) and make a small set of prototypes. Depending on the number of parts you need, variable tool life and molding process parameters can be advised. 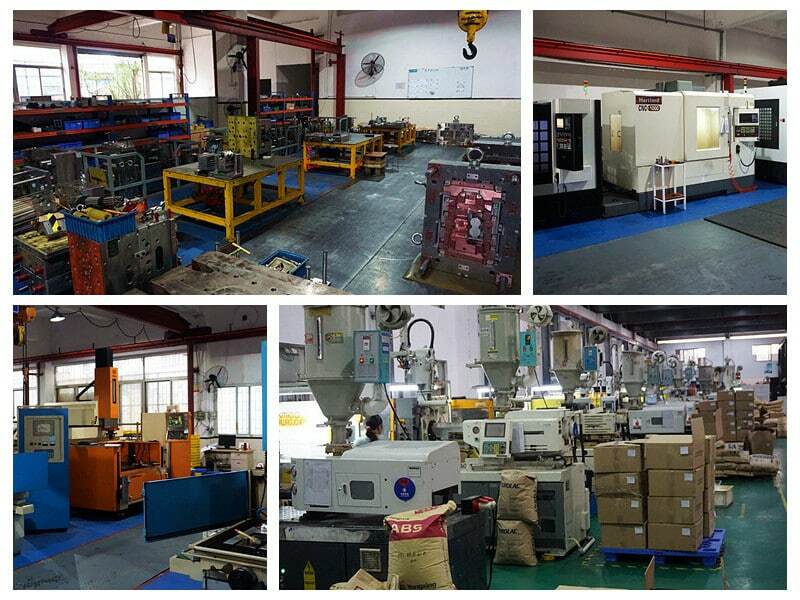 Low volume injection molding has become possible because of the new technology developments. Rapid injection molding is a leading technology that is a combination of conventional injection molding for mass production and top-notch rapid tooling techniques. The result is an advanced approach to prototype plastic molding that yields commercial quality cost-effective parts and brings new designs into the market faster and with fewer hurdles to overcome. Design for manufacturability is a combination of techniques that allow you to estimate whether your product can be manufactured in the desired way for short-run injection molding and offers ideas on how to design things so that they can be manufactured at a minimum cost. The DFM for injection molding helps design products as well as prototype tooling and choose the best material for the task. Experience is the main factor for correct DFM of plastic molded parts. The correct choice of every aspect matters: gate type and location, parting line, draft, runner system, slide and insert, ejection – all of those parameters influence the end precision and surface finish quality. Design for manufacturability of the plastic molded parts cuts the number of manufacturing problems during the early design stage. That drastically lowers the lead time for the product. Choosing the right material is a vital task in your project. Based on that, the manufacturing costs and product life may vary greatly. The most popular concerns here are performance, strength, costs, design complexity and manufacturability. Since the materials for this process may vary from Aluminum 7075 up to H13 hardened steel, and each factor influences other material concerns, choosing the right material for rapid prototyping tooling is a very complex task, so a consultation is absolutely necessary. Advanced engineering design and cooperation between the manufacturer and the customer are the two points that ensure successful production. In order to meet the needs of the customers and reduce costs, Master Unit Dies (MUD) systems are used. 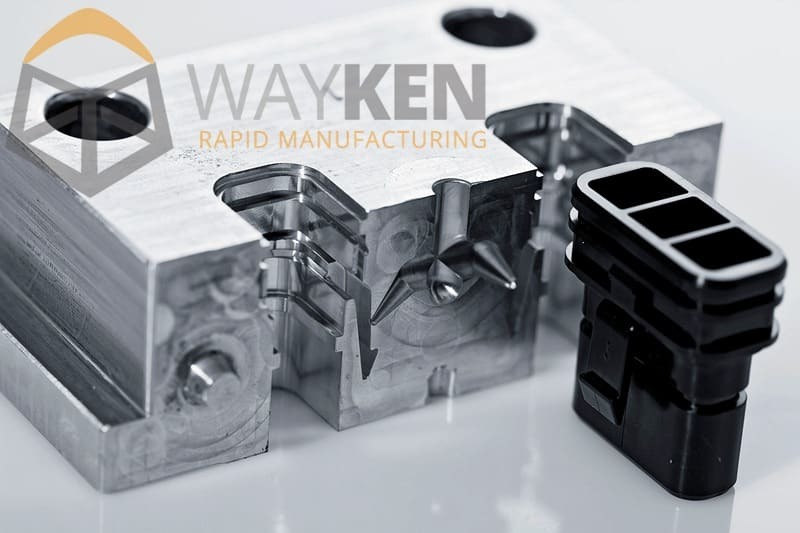 MUD systems were specifically designed to change Injection Mold designs faster. The groove of the mold is a separate part, which can be replaced with a new groove, while the base of the mold remains the same. Another aspect of MUD systems is the ability to unite a number of different parts on one die to save materials. Using MUD systems decreases the number of Prototype mold making components you need to remanufacture if the design was changed after the first batch. Aluminum tooling in prototype injection molding is manufactured from an aircraft-grade aluminum alloy: AL7075.The choice of material determined by the outstanding qualities of that alloy. It has good machinability (up to 30% faster machining rate than that of steels used for tooling), it is lighter than steel, and is as strong as durable as steel. Prototype mold making involves the same manufacturing technologies as mass production mold making. Aluminum tooling has the same quality and surface finish but it can be machined faster and thus, costs less. Aluminum tooling for rapid injection molding can withstand up to 100,000 mold runs, which means that the plank for low volume plastic molding have risen significantly. Aluminum is ideal for MUD system proto moldsand it means less time needed to remanufacture a changed design, fewer costs, more efficiency and a flexibility of a whole new level. 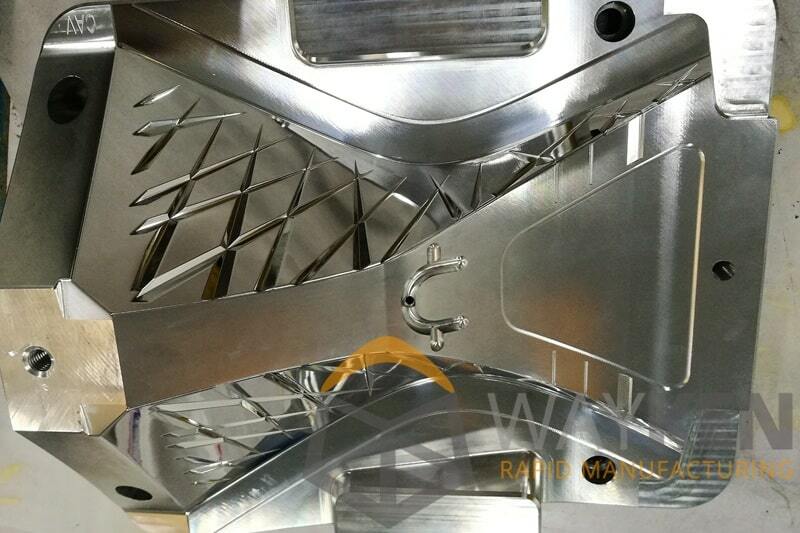 Since aluminum alloys have better machinability, there is less need for EDM cutting, which is used for harder metals since those wear conventional tools too fast. Aluminum alloys have good heat conductivity. It means that the part inside the cavity will cool down faster, will spend less time in the cavity and the mold will be ready for the next part faster. The costs of redesigning at later stages are much lower since it is easy to machine aluminum tooling due to high machinability of the material. So, low volume plastic part batches can be remanufactured at minimum intervals. Rapid tooling means simpler approaches, less automation, and more manual elements. This is why some aluminum alloy rapid tooling systems use hand-loads instead of automatic ones to create different complex surfaces and elements. Loads are parts of the mold that are put inside of the cavity to create additional features, for example, holes. In steel mass production injection molds, the loads are extended and retracted automatically. In rapid molding, the loads are inserted manually and removed from the final extracted part by the operator. By foregoing automation, the hand-load method serves as a solution to manufacturing complex surfaces in molded parts. Making manual loads requires much less lead time and so, the production can start faster. Polymer pellets are inserted into the injection equipment and are dehumidified. The polymer pellets are mixed and melted into liquid. The liquid is injected into the mold grooves through a reciprocating screw. The mold is opened and the part is injected with the help of an injector. The injection molding process is a complex manufacturing technique. It has a large number of different parameters that influence the end result of the molding process. Among them are temperature, material flow rate, cooling time and rate, filling time, pressure, material moisture rate etc. Each of the parameters must be kept within its boundaries for the process to happen as planned. In order to achieve that, high qualifications and a lot of experience are necessary. This is why injection molding processes are always carried out by professional engineers. An ideal partner must be able to provide a wide range of molded part batches (from 100 up to 100,000 parts for different testing stages). This means that the partner must be able to successfully design and manufacture tooling, be capable of determining DFM features for the manufactured part and have extensive experience with setting molding parameters. He should also be able to support your project further for the mass production injection molding.